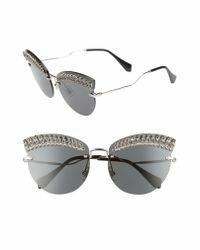 See more Miu Miu Sunglasses. We check over 450 stores daily and we last saw this product for $680 at Nordstrom. 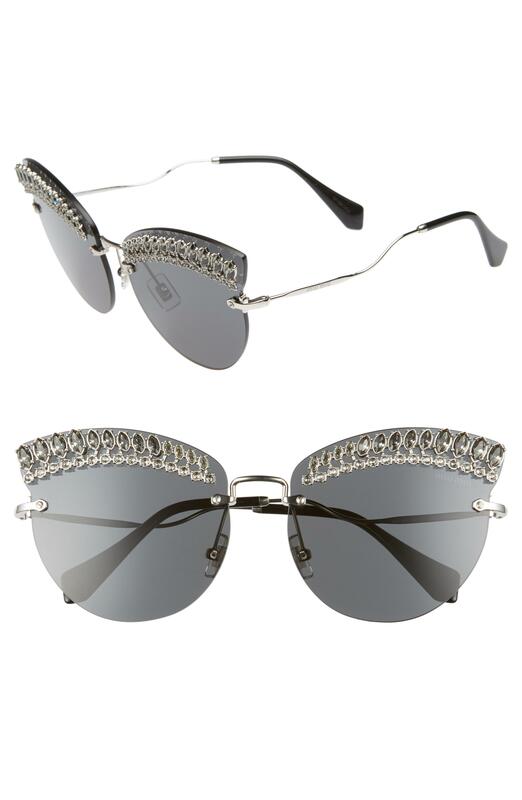 Sparkling crystals and curvy temples lend an unexpected twist to rimless cat-eye sunglasses finished with gradient lenses.